As discussed previously in KnoWhy 59, 2 Nephi 31:7 explains that the reason why a sinless Jesus would need baptism, is not for the remission of sins but to publicly witness His making of a covenant to be obedient to the Father. In that KnoWhy, we cited emeritus BYU Professor Noel B. Reynolds as asserting that for Nephi and subsequent Book of Mormon figures, baptism principally serves as an outward sign witnessing our repentant commitment to follow Jesus Christ. In contrast to baptism being a symbol of spiritual cleansing, Reynolds notes, “the Book of Mormon consistently points to a different symbolism: the making of a covenant.” We are then cleansed by the purifying fire of the Holy Ghost (3 Nephi 12:2). From ancient times, covenants have been understood as mutual or bilateral promises. If baptism, in the Book of Mormon, is understood as a sign that one has made a covenant with God to do certain things, what are those things? What is God, for His part, promising to do? The narrative of Alma (the elder) baptizing believers at the waters of Mormon in Mosiah 18 is one of the most informative accounts of what was expected of newly baptized saints. And it came to pass that he said unto them: Behold, here are the waters of Mormon (for thus were they called) and now, as ye are desirous to come into the fold of God, and to be called his people, and are willing to bear one another’s burdens, that they may be light; Yea, and are willing to mourn with those that mourn; yea, and comfort those that stand in need of comfort, and to stand as witnesses of God at all times and in all things, and in all places that ye may be in, even until death, that ye may be redeemed of God, and be numbered with those of the first resurrection, that ye may have eternal life—Now I say unto you, if this be the desire of your hearts, what have you against being baptized in the name of the Lord, as a witness before him that ye have entered into a covenant with him, that ye will serve him and keep his commandments, that he may pour out his Spirit more abundantly upon you? (Mosiah 18:8–10, emphasis added). Members of the Church are often admonished to remember the sacred covenants they have made with the Lord. If we do not remember our covenants, we cannot keep them and will not receive the promised blessings. When those who have been baptized take the Sacrament each week, they are reminded of their promise to take upon themselves the name of Christ, always remember Him, and keep His commandments (see also Mosiah 5:7–8; 3 Nephi 18:7–11; Moroni 4–5). Embedded in Alma’s description of our responsibilities regarding the baptismal covenant is the essence of the Atonement—to suffer vicariously the pains of others and provide them comfort. We do what the Savior does for us: help others and try to relieve their distress (Alma 7:10–14). This is also the essence of charity (Moroni 7:45–47). As we are baptized and commit to take upon ourselves the name of Christ, we also covenant with Him to do what He would do and love as He would love. 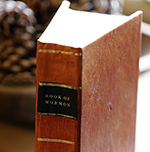 Book of Mormon Central, “What is the Purpose of Baptism in the Book of Mormon? (2 Nephi 31:6–7),” KnoWhy 59 (March 22, 2016).